I found this free model online a long time ago and added a texture to it, but I cannot remember where I found it now. 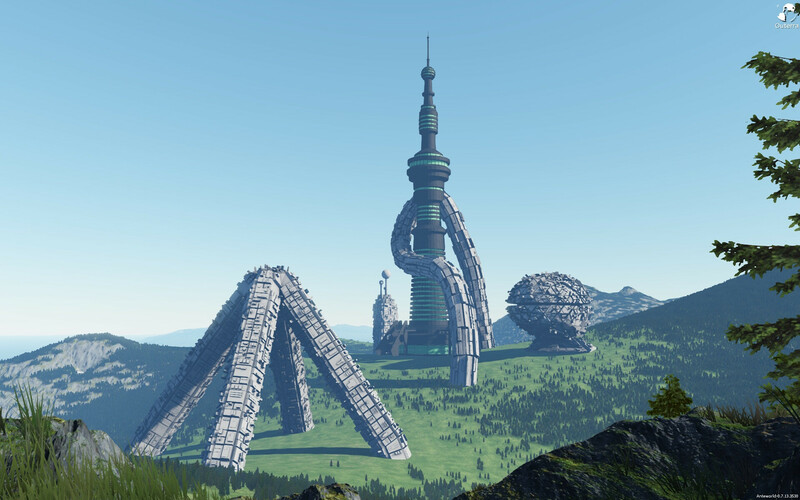 Credit to Luishi5k0 for the Greeble City Models used in this screenshot along with the tower. Looks good but the download link is borked. Please could you share the source collada file? I am trying to export my blender objects and have problems with the exporter. Ok, i solved my issues now. There is no need for the file any further.